Renate is a painting by Angela BZ which was uploaded on January 12th, 2010. Renate is Latin, it means to be reborn, it implies death and new life, coming and coming back again; isn't this what this flower is doing? And for you Angela, is this an experience or a dream? Perhaps a star too far to dream of? 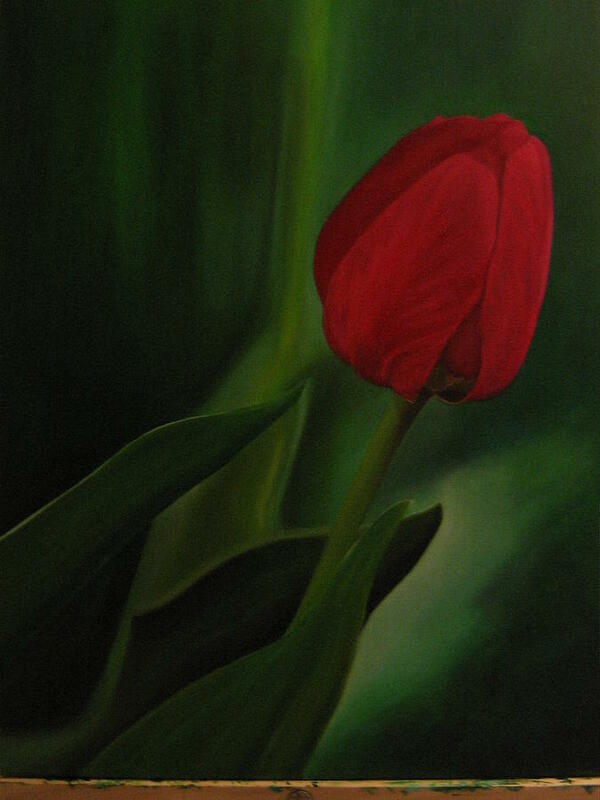 or maybe more simple, a red flower over a dark green canvas . . . who will ever know?